About the time I watched the funeral service for George H.W. Bush and listened to how his character influenced his family as well as national and international decisions during his presidency, I was reading the book, Chocolate Wars by Deborah Cadbury. It had been recommended by Mats Tunehag, international leader on issues related to Business as Mission. Chocolate Wars surfaces many of the values which are important considerations in business today. The book presents the story of the 150-year rivalry among Cadbury, Fry, Rowntree, Hershey, Nestle and Mars chocolatiers. 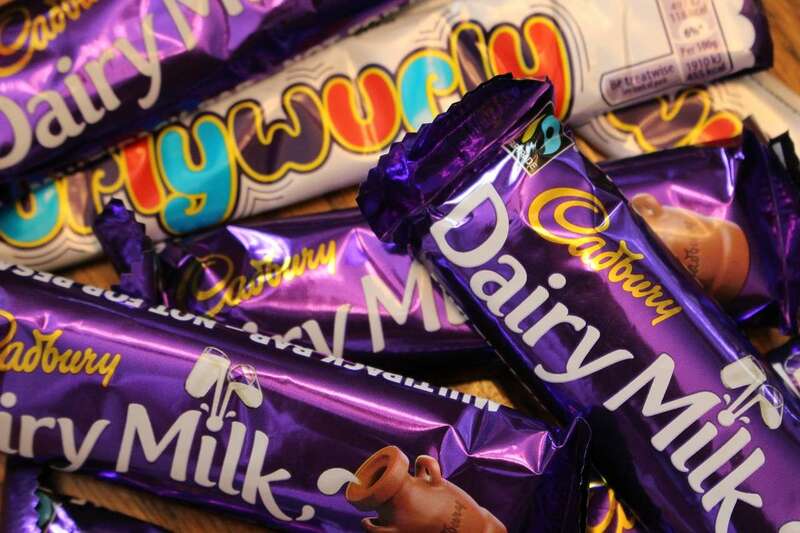 The historic Quaker firms of Cadbury, Fry and Rowntree have disappeared into the Kraft and Nestle food empires along with the ideals of those innovative pioneers who brought chocolate to the forefront of the confectionary world. They introduced the chocolate bar to the world, but they also integrated the ideals important to their faith with the world of business. What can we learn from the Quaker chocolatiers? Passionate purpose. It all started with Richard and John Cadbury who decided that the unknown tropical plant, cocoa, could be a nutritious non-alcoholic drink in a world that relied on gin to wash away its troubles. George Cadbury and Joseph Rowntree wrote papers on solutions to poverty, prepared Bible studies, and campaigned against a multitude of social abuses. The creation of Cadbury’s model community of Bournville in England in the late 1800s, not only changed the lives of thousands of families, but also inspired Milton Hersey in the creation of his model town and school in Pennsylvania. Doing the right thing was in the DNA of the English Quaker chocolate industrialists. Such purposeful values are at the core of BAM businesses, and must never be subsidiary to profit. Profit, social, and spiritual value go hand in hand. We call it a balanced quadruple bottom line, “integration of faith and work”, or Integrated Great Commission Companies. Quality and Value sells. The Quakers followed several values which are rare today, including the mantra that “the quality of the product mattered far more than the message.” Advertising was considered dishonest, and debt was limited and rare, so that they could “manage honorably.” In the words of Deborah Cadbury, “The message that Cadbury stood for quality and produced pure cocoa in wholesome conditions, distinguished the brand from the rest of the market and boosted sales. They all believed that “…the business should be built on the quality and value of their goods. Nothing else should be needed if the product was honest.” (p. 57). True value to them was tied into business ethics built on truth, honesty and justice. I visited the Barrington Gifts factory in China, and saw a factory creating quality products. The quality was such that President Obama used one of their leather bags while he we president. It was a top-quality product that anyone would be proud of. Never give up. The journey of the great chocolate companies begins with struggling startups and continues with descriptions of the social conditions of the industrial revolution, the hard work of innovation, the competition with Swiss and American chocolatiers, criticism of their spiritual values, the loss of children and George’s spouse, the Boer War and the World Wars, the continued inhumane conditions in England, and the cutthroat tactics of modern capitalism. The puritanical roots are what carried them through, “work, and again work, and always more work,” with every penny ploughed back into the business. Their “concentration on purpose” even forced them in hard times to give up drinking tea and reading the morning paper. And even as the losses seemed to escalate in the 1860s, they refused to give up and pushed onward. Business is as much of a “high and holy calling” as any other, and when attempted in undeveloped locations among the unreached, it can be incredibly daunting; but refusing to give up when God has called is as essential as the assets and resources brought to the table. BAM businesses I have observed over the years have faced political oppression, religious persecution, unfair competition, expropriation of assets, assassination of team members, loss of visas and much more. But most have not given up. Profit and altruism can go together. The Quaker capitalists of the nineteenth century viewed personal gain as only part of raison d’etre of business. Wealth creation was for the benefit of the workers, the local community, and society at large as well. The Quakers considered spiritual wealth to be the enlarging force that led to noble living, not material wealth. The nineteenth-century principle that “doing good is good for business” was equally relevant in the twenty-first century as they launched “Fairtrade-certified Dairy Milk and sought to create a sustainable supply of high-quality cocoa while creating a sustainable life for cocoa farmers. “Being” not “having” was the true test of worth. For Joseph Rowntree, the real goal for an employer was to seek to secure for others … the fullest life of which an individual is capable. “Ethical and wider humanitarian decisions really did matter. It was as if though, for them God was the ultimate chairman” (p. 313). It reminds me of a business owner in a large Asian country who actually told government leaders that he would need to ask the boss about the request the government leaders were making of him. Confused, they said, “We thought you were the boss.” It was an opportunity for him to not only have them see that God owned the business but testify as to what that really meant. The values of private ownership vs shareholder capitalism. The changes brought on by the twentieth century with its growth in world trade, and erosion of religious values and international rivalries, gradually forced the privately held Quaker companies to pass to public shareholders. With shareholder capitalism came the loss of responsibility and accountability of the chocolate families to all stakeholders involved. The takeovers in recent years highlighted the desire of shareholders for short-term gain, something antithetical to long-term value creation? Could it be that BAM businesses should not succumb to the “what does the end look like?” thinking focusing on sale value; but continue to operate their business according to the principles of the quadruple bottom line? Investors should learn to measure their success in community and personal change, and not only in terms of normal ROI metrics. Cadbury, Deborah. Chocolate Wars. New York: Perseus Books Group, 2011.